Heart's Delight Cards: I Love MDS! I could wax rhapsodic about how wonderful My Digital Studio is, but you will never really know until you get to play with it for yourself. The possibilities are just about endless! This is the cover of a journal I threw together last night. That gorgeous Springtime Vintage Designer Series Paper? Available in the new Occasions Mini AND available as a download. The Baja Breeze Seam Binding Ribbon and Vintage Flower Adornment? Ditto!!! Gotta love Stampin' Up! Cindy this is gorgeous!!! I love your scallop edge. Thise are two of my favorite papers from this pack. I can't wait to download this one. Great job with the MDS!! This is fabulous!!! I love how you used the same paper but changed the opacity. Great journal! Gorgeous! One of these days I am going to own MDS.. LOL I keep promising me. It's on my wish list. Oooh, you are one talented lady! What a beautiful card! What a beautiful front to a journal! 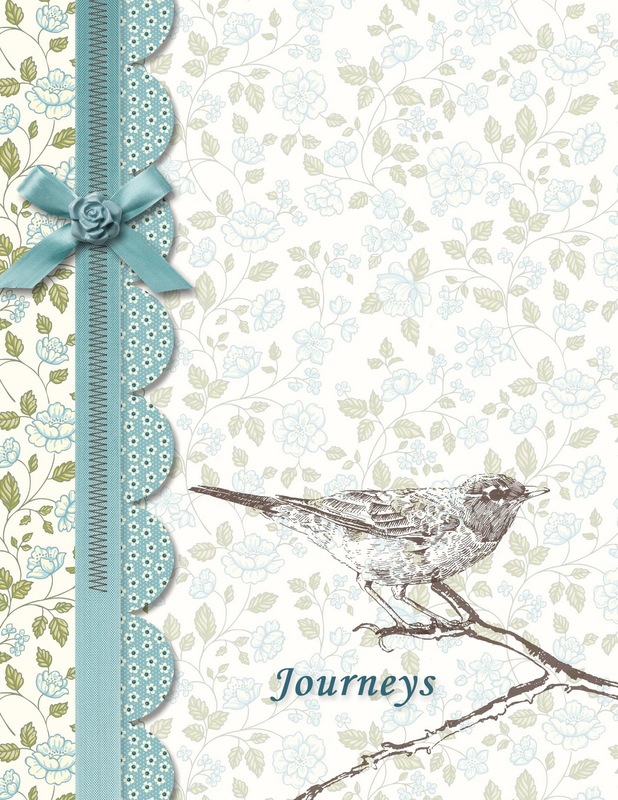 What a gorgeous journal cover! Love MDS. Wishing I had more time to play...especially when I see all the great stuff folks are making.